Electric motor or the hybrid electric vehicle of switched reluctance for high-speed applications, in order to reduce torque ripple. The SRM is fed by a three-phase unidirectional power converter having three legs, each of which consist of two IGBTs and two freewheeling diodes. The method is based on fixed turn-on angle and turn-off angle as the prerequisite, and estimates on and off position of the sensor less switched reluctance motor. Under the environment of Mat lab/Simulink, the method realizes the sensor less control of the switched reluctance motor. Outcome of mechanical vibration and acoustic noise from both the DTC controller gets analysed in Graphical programming language, Lab VIEW tool. This graphical language gives the efficient and accurate results in terms of mechanical vibration and acoustic noise. K Nandhini, A Stephen Sagayaraj, B Saritha, T Mani. "Direct Torque Controller Analysis in Four Phase Switched Reluctance Motor." 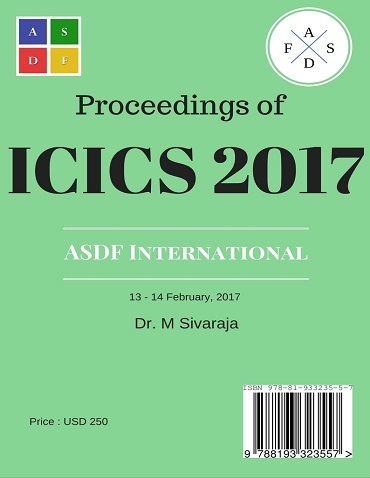 International Conference on Intelligent Computing and Systems (2017): 48. Print.